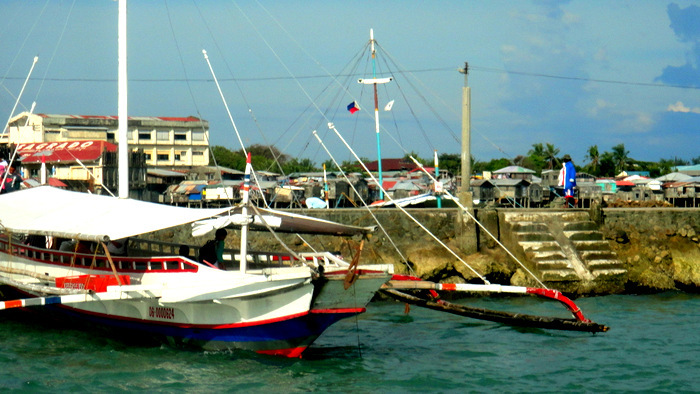 The Panay News reported last Sunday that Guimaras Motorboat Trip Shortage Strands Passengers. Guimaras, home of the sweetest mangoes in the world, is the island province we call home. 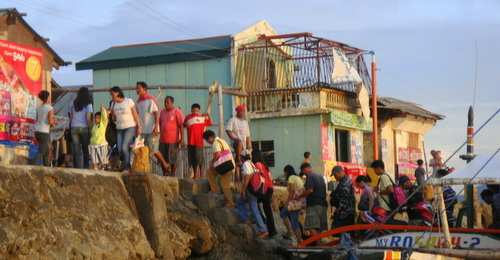 Jordan Mayor Ruben Corpuz wants to know why there aren’t enough boats operating. Passengers, especially those catching trips between 5 p.m. and 9 p.m., would have to wait for two to three hours before they could get a ride, according to Mayor Ruben Corpuz. Our niece Shaina, who lives with us, was stranded for hours a week ago this past Friday, waiting for a pump boat at Ortiz Wharf in Iloilo City. Shaina is currently taking review courses for her upcoming Teacher Board Examination. Unfortunately, for the past two weekends, our niece has had to travel to Iloilo City every Friday, Saturday and Sunday for the classes. The review began in Guimaras, but due to some problems with class size, she was instructed to attend the review sessions in Iloilo. Thankfully, the matter has been sorted out, and Shaina can resume her review training in Guimaras again beginning this coming Friday. With the recent heavy rains and high wind we’ve been experiencing, my wife and I are both glad our niece won’t have to travel to Iloilo every weekend now. Mayor Corpuz called on the Maritime Industry Authority (Marina) Region 6 to find a remedy. The mayor wants an investigation. 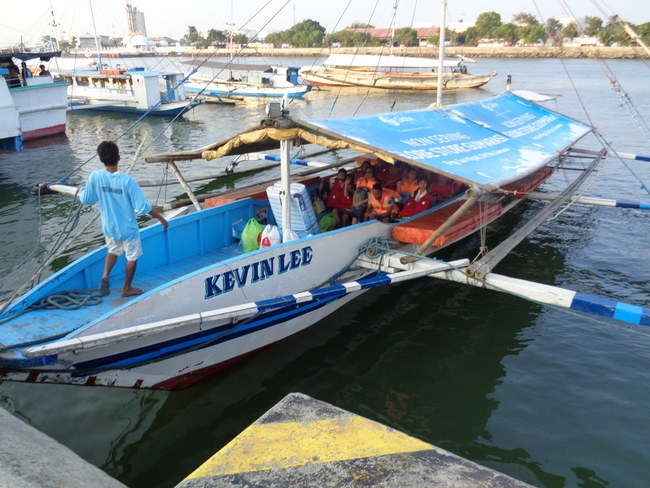 Operators of boats plying the route Iloilo City – Jordan Wharf and vice versa belong to the Jordan Motorbanca Cooperative. They pick up Jordan-bound passengers mainly from Ortiz Wharf in Iloilo City but they depart from the Guimaras-Iloilo Ferry Terminal (Parola) when the wind and waves are strong. The Mayor is willing to bring in another franchise or group that can handle a more efficient operation. Mayor Corpuz disclosed that SouthWest Tours Boracay, Inc., which handles speedboats, is interested in getting a franchise for the Iloilo City-Guimaras and vice versa route. The cooperative has 52 motorboats but these operate on alternating “shifts” – half would go on trips one day, the other half the next. 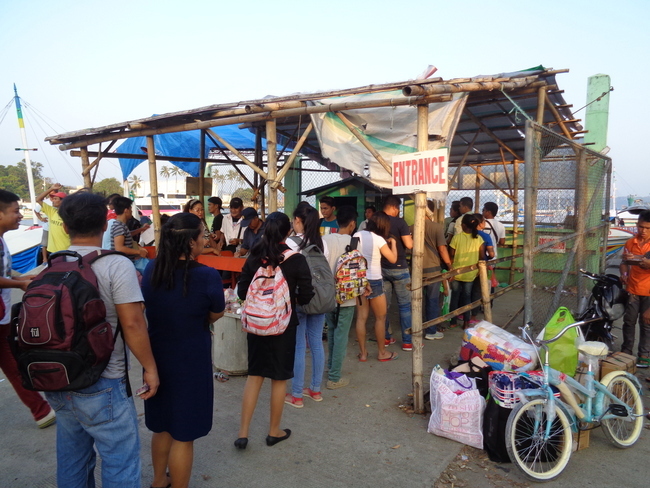 On May 20 many passengers – some of whom were Manggahan Festival spectators – got stuck in Iloilo City for hours before getting a ride to Jordan Wharf in Guimaras because only a few boats went on trips, Corpuz claimed. Long queues of Jordan-bound passengers, particularly between 5 p.m. and 9 p.m., may be observed on Mondays and other days when their number commonly surges, he added. Inconvenienced passengers are castigating the local government of Jordan when in fact the problem is with the Jordan Motorbanca Cooperative, said the mayor. “Something must be done through Marina,” Corpuz said, adding that he already wrote the agency regarding his concern last Wednesday. Corpuz is himself a member of the cooperative. He had been bringing up the matter during their meetings, specifically addressing their president, Ofelia Canja, the mayor said. He had been suggesting that the cooperative field 13 to 15 more motorboats, especially on Mondays, Fridays, and the weekend when there is an upsurge in the number of passengers, the mayor claimed. “Wala sila nagapamati (They don’t listen),” said Corpuz. He believes motorboat trips during the Manggahan Festival are not carefully planned, unlike during the Pagtaltal sa Balaan Bukid, a Holy Week event. Both events are the top tourist drawers of the island province. Jordan Mayor Corpuz also admonished local business owners, especially those located at the Chavez Building, that they need to obtain their business permits. If the permits are not secured, warned the Mayor, those offending establishments would be closed down. The Mayor expressed his views on a local radio station. Kudos to Jordan Mayor Corpuz in Guimaras for wanting to solve the pump boat trip shortage. The Mayor is also to be commended for trying to enforce the laws and regulations already on the books which clearly state that businesses need permits to legally operate. ← Filipino Families Can Decently Live on $200 Month?